Get hands on at Liquid Light Glass. Take any of our three classes. Don't worry, no prior experience is necessary. Our artists will be with you throughout an entire session, making sure that your experience is fun and safe. Please check below for a list of upcoming classes. Contact us and make your reservation today! Please include a phone number with your reservation request. 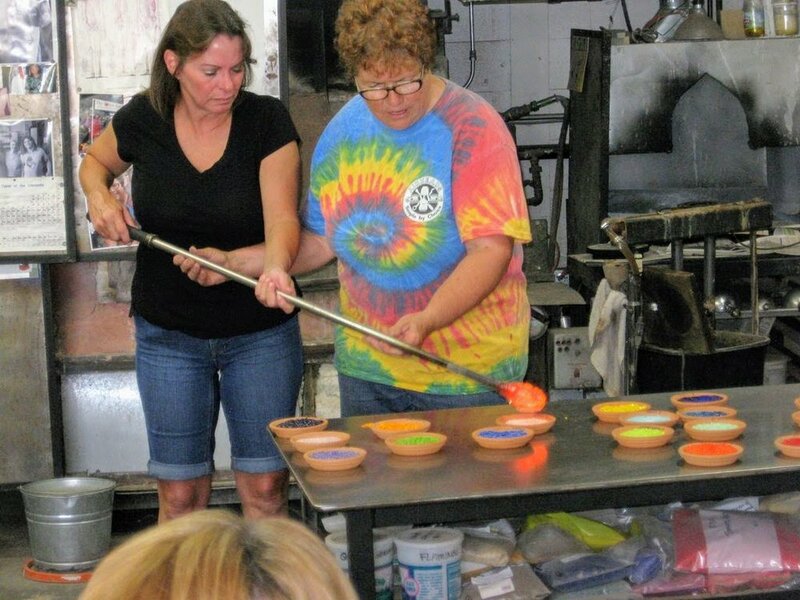 Learn how to shape, sculpt and mold molten glass during your own one-on-one tutorial. Students gain first-hand experience creating paperweights, flowers, and blown glass cups. Take one, two, or several classes with our professional artists. Each course is individually shaped to suit the experience level of the participant; no prior experience is necessary. All finished pieces will be available for pickup one to two days after the class, or they can be shipped directly to you. Ages 12 and up. Each 60-minute course costs $185 per person, or two people can share a 90-minute course for $277.50. Prices do not include tax or shipping. Classes can be booked in one or two hour increments. Come experience the thrill of crafting your very own drinking glasses. Students select the colors and our expertly trained staff will help you turn your idea into a functional work of art. These glass cups make lovely gifts or keepsakes, and offer fun for the whole family. Finished cups are available for pickup one to two days after the class, or the pieces can be shipped directly to you. Ages 10 and up; parental assistance is required for children under the age of 13. Each 60-minute course costs $185. Prices do not include tax or shipping. Classes can include up to six people and are booked in one to three hour increments. One to two people can share a one-hour course; groups of three to six people must share a minimum two hour course.